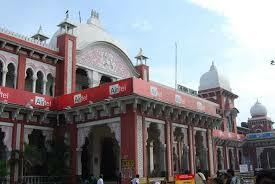 One of the older localities of Chennai, with a glorious past, Egmore is seeing many new projects across categories. Who doesn’t want to a buy home of their own especially when you are a first time home buyer? Why is it profitable to invest in Egmore? There are a host of reasons to invest in the locality. Some of them are: Egmore, in Chennai, is not only a fully developed residential area but a commercial and retail hub too The Egmore Railway Station connects the locality to other parts of the city. Several residential and commercial areas such as Chintadripet, Nungambakkam, Purasawalkam, Anna Salai and Chetput surround the locality. The National Highway 114 passes through the locality and ensures its connectivity to other areas. The state-run Metropolitan Transport Corporation (MTC) buses frequently pass through the locality and connect it within and with other parts of the city via road. The locality also has a suburban train station on the Chennai Beach Tambaram railway line The Chennai International Airport is situated within 20 km distance and can be reached via the Trichy-Chennai High way and the Chennai-Nagapattinam Highway Trichy-Chennai Highway. According to Magicbricks, the locality has been rated as 4.7 out of 5 on the basis of buyer’s feedback for offering good environment to live, decent commuting facilities and the social and physical infrastructure. The locality offers varied types of residential housing such as flats, plots, villas, builder floors and residential houses. According to Magicbricks data, there are over 60 housing options to choose from. This does not include the upcoming projects. 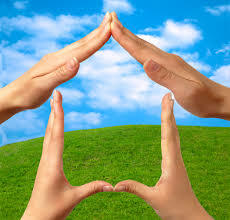 Let’s find the details of residences present in the locality. Considering factors like availability of varied housing types, proximity to commercial and retail establishments and the affordable budget range, it is safe to say that Egmore is worth investing in. The emerging growth corridors of Chennai provide buyers many investment opportunities. 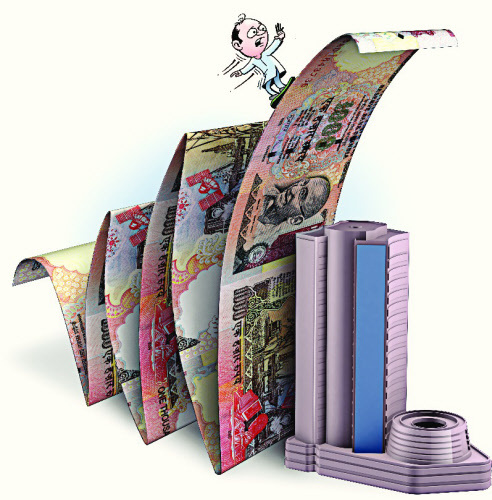 Unlike other cities, Chennai’s reaction to the real estate sector was mixed last year. While sales experienced a good momentum in the beginning it was rickety towards the end with a dip in new launches by the end of the year. According to recent Magicbricks data, among the localities in Chennai that have the potential to witness growth in property prices are Adyar which tops the list with 11.9 percent and prices expected to grow by 11.3 percent in the next three months, followed by Kodambakkam at 8.9 percent with prices expected to grow by 5.0 percent. Nungambakkam has been rated at 7.9 percent with prices expected to grow by 10.0 percent, T Nagar with 2.2 percent and Mylapore with 0.6 percent decline with prices expected to grow by 3.8 percent in the next three months. The Investment Hotspots report by Magicbricks Research indicate that upcoming projects being built in the city’s emerging nodes that enjoy growing employment opportunities, improving infrastructure and increasing population. These new nodes are laden with realty potential in 2017 and 2018. The emerging corridors of growth in Chennai are Chromepet-Tambaram, GST and OMR. It is the most well connected corridor in Chennai as it is very close to Central Chennai. Medavakam has the highest share of consumer demand mainly due to its connectivity and proximity to Velachery, a well-established residential area. As property prices are high in Velachery, people prefer to buy in Medavakkam where average prices are in the range of Rs 4,500 per sq ft as compared to Rs 8,000 per sq ft and above at Velachery. Chromepet which is the centre of the corridor have the next highest demand. Best bedroom configurations to buy are 2BHK apartments. The second most preferred is the 3BHK category in the corridor. This means that the localities in and around Nanmangalam have 2BHK property and consumers are also showing interest in this category. Areas such as Medavakkam and Velcahery have independent homes and builder floor apartments with 2 and 3BHK units. Residential and commercial establishments dot both sides of GST. There is special emphasis on SEZs with almost five of them already set-up and a few more in the process of getting approvals. When it comes buying homes, Guduvancheri has the highest share. This is due to its proximity to SRM University, Estancia IT Park and the Ford Plant. The area has a healthy rental yield of about 4 percent.There are more number of ready-tomove-in apartments in Guduvancheri in comparison to other localities. Urapakkam, located next to Guduvancheri, has the next highest demand in the corridor owing to the same reasons as Guduvancheri.Two BHK apartments account for around 70 percent of the total demand. There is also a good demand for independent houses with more bedrooms for renting as these are usually converted to Paying Guest accommodation. These fetch good ROI and also have good demand from ITITeS people working in the many SEZs and IT Parks here. This corridor has the highest demand among all corridors. Apart from residential and office spaces, it also has hospitals, residential schools and shopping establishments. The locality with highest consumer demand is Sholinganallur. This is mainly due to its connectivity to Medavakkam and ECR. Two BHK properties here fetch good rents and have limited availability in the corridor. Perumbakkam, next to Sholinganallur, has the next highest demand as the locality has good social infrastructure and hospitals. Similar to other corridors, 2BHK apartments are the most preferred. About 55 percent people looking to buy the format here. It is also observed that most of the 3BHK apartments that are purchased in the corridor are mostly for self-occupation. Interestingly, although only 2 percent people are looking at buying 4BHK and higher units, about 29 percent people are looking at rental property in this category. While there is demand for all kinds of property it is highest for 2-3 BHK. Homes that can transform as per the requirements of its owners might have seemed like a dream up until a few years back. But with the concept of flexi-homes catching up that is no longer the case. Cities are expanding at an unprecedented rate by the day. But surprisingly, spaces seem to be shrinking. To address this growing concern, there have been a number of out-of-the box developments in the real estate industry over the years. And the concept of flexi-homes seems to be the top contender in the race. Like the name suggests, flexi-homes are homes that provide innovatively designed living spaces which enable home owners to alter and customise internal layouts like floor plans, sizes of rooms and other architectural elements, depending on their needs. According to Siddhart Goel, senior director, research services, India, Cushman & Wakefield, the trend has caught on in India and is likely to grow in the future. “Earlier, customers hardly had a say when it came to home buying. They had to accept the designs offered by the builders and after possession and customise their homes at additional costs. These costs would often mount up to quite a lot and would also take up months of their time, plus the added inconvenience. The advent of flexi-homes helps them save on both these elements,” he says. For developers who offer such projects, this is a win-win scenario since a niche segment like this not only helps them stay ahead of their counterparts but also brings in more customers, especially from the HNI segment where customers give high priority to the options available to them in terms of how they want their house to be. Flexible interiors use both architectural elements as well as innovative furniture to incorporate multiple uses. Spaces that can extend like a collapsible wall that make extra room when you have company over or bed rooms that double up during the day, flexi-homes are catering to home buyers seeking living spaces to suit specific spatial needs, together with the right ticket size, social infrastructure, connectivity and amenities. “Evolving customers are interested in adaptable homes that can meet changing spatial and privacy requirements over time while repurposing spaces to suit multiple utilitarian requirements. For this, homes need to be designed smartly so as to use all available area efficiently. At the same time, interiors, including furniture, should be planned intelligently, in order to facilitate flexibility and utility within smaller unit areas,” says Vivek Sharma, business head, Mahindra World City, Chennai. Expandable homes have the advantage that the customer is able to invest in spaces in the preferred residential communities of their choice and later, according to future requirements, add to the existing layout. “The construction plans of such homes are required to provide, in advance, the specific structural details and specifications needed to easily accommodate subsequent additions with the least amount of disruption to daily family activities and limited retrofitting of the existing building,” adds Sharma. For the home owner, these flexi options have given the word ‘space’ a new meaning altogether. One that can be altered and transformed whenever required and often in a matter of minutes. “Investing in a home is a big step. It will definitely make a big difference in buying trends if even a compact residential unit can meet multiple needs. Young families usually do not need a lot of space. But in the future, additional space will become a necessity and having an expandable home eliminates the hassles of selling the existing home and relocating to a larger place,” says Avantika Prabhu, an IT consultant. The concept of both these options together might seem a little farfetched in the current scenario, but with many developers toying with the idea, one can hope that it will soon be a valid option. இனிய தமிழ் புத்தாண்டு வாழ்த்துக்கள் !! http://360propertymanagement.in/wp-content/uploads/2016/10/logo-1.png 0 0 admin http://360propertymanagement.in/wp-content/uploads/2016/10/logo-1.png admin2017-04-13 16:39:582017-04-13 16:39:59இனிய தமிழ் புத்தாண்டு வாழ்த்துக்கள் ! !